Universal Aviation Maldives to enhance private jet experience in the Maldives | Universal Weather and Aviation, Inc.
Malé, Maldives – Universal Aviation and Inner Maldives Holidays celebrated the official grand opening of its joint venture business aviation ground support location, Universal Aviation Maldives, at a ribbon-cutting ceremony attended by clients, partners, and local officials. 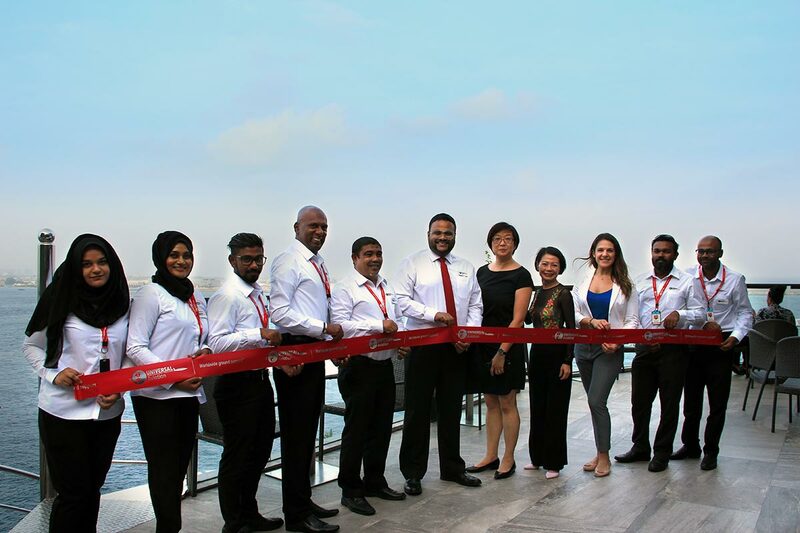 Universal Aviation Maldives is headquartered at Velana International Airport (VRMM). The location’s main operation is locatedat the island of Malé, but it also provides supervisory services at all airports throughout the Maldives– including Gan International Airport (VRMG), Maamigili Airport (VRMV) and Hanimaadhoo International Airport (VRMH). Universal Aviation isthe worldwide ground support division of Universal Weather and Aviation, Inc. Inner Maldives Holidays is a multi-award winning travel company providing tourism and travel services to the booming tourism industry in the Maldives since 1998. Universal Aviation Maldives is Universal Aviation’s eighth location in the Asia-Pacific region. For more information on Universal Aviation Maldives, visit www.universalaviation.aero/maldives.